We aim to satisfy individual print needs with Mimaki inkjet printer! What is your main business, and what motivated you to purchase the Mimaki UJF-3042 printer? Printing is our business. We print on industrial products, including plastic or metallic materials, and undertake various printing orders that require the utilization of silk-screen and pad printing systems. We can print on almost anything except water and air! Originally, most of our transactions were business-to-business (B2B), and hence, the minimum order quantity was always 1,000 or 2,000. Therefore, we could not accept small-lot print orders because of a high cost. Even when printing on one small object, a conventional printing system needed a printing plate for each color. I was always frustrated at not being able to explore new business opportunities. I saw the Mimaki inkjet printer 10 years ago. Honestly, I thought it was too early to install the machine, and I felt it was too expensive. Since then, I’ve been watching and learning about market trends at stores and exhibitions. I thought that small-lot custom printing was becoming popular. One day, we were asked to do color printing on some staplers, but it was a small order quantity. The Mimaki inkjet printer came to mind, and I immediately made a purchase decision. Can I see the staplers? We still get a lot of print orders for staplers. We also print on staple refills. These refills are so popular that we have to buy ours from a store despite the fact that we print them right here! We also started a shopping website in December, 2012. We sell smartphone cases on the Web. When the Mimaki sales representative showed me some smartphone case samples, I wanted to buy them right away. Then, I got the idea of printing on the cases and selling them. We sell various case designs, including some with gold-foil and resin-doming finishes. A resin-doming surface is grippy. A smartphone with a resin-dome case doesn’t fall off the dashboard when you’re driving. How do you design a print image? I design my own print images and also ask art school students to collect various images to meet consumers’ tastes. We can collect 130 images in just three months. Usually, students design and create images for 2D objects, but a smartphone case is a 3D object; they enjoy creating images and seeing the results. Moreover, this collaboration project is a credit course. Therefore, students participate actively. We print each student’s design image on a case and give it to them as a gift. If they provide us with 10 image files, we’ll give them 10 cases! Our smartphone cases are made using a special process. 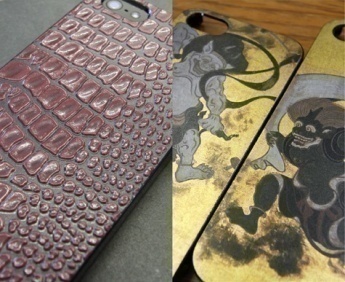 Therefore, I want to increase the sales of our attractive and unique smartphone cases by describing their charming features. What is the difference between silk-screen printing and inkjet printing? How do you like Mimaki inkjet printer? For full-color printing, the silk-screen method requires a plate for each color and performs multiple printing operations on an object. On the other hand, the inkjet method can print a full color image on an object at one time without a plate. I choose inkjet printing for small-lot print orders of up to 1,000 products. First, an operator removes the products from boxes, places them on a jig plate, and starts printing. After printing, the operator returns the products to the boxes. Furthermore, the number of operators is less than that for screen printing. When the print-order quantity is 1,000, only one or two operators are required to complete the printing in a day. Silk-screen printing suits large-lot production printing of industrial and general products. I don't think that the demands for silk-screen printing will be greatly decreased. On the other hand, the demands for inkjet printing especially UV-printing is increasing. Once in a while, I take a print order for a single product. The Mimaki inkjet printer allows us to accept such special orders. Clients are very satisfied with our printing service. What is your prediction for the future of the industrial product printing market? For large print quantities, silk-screen and pad printing are still the main methods for printing on industrial products. 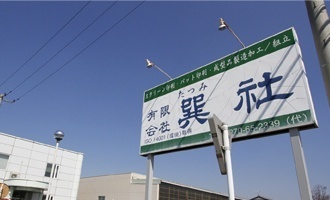 However, these printing techniques, along with the demand, are shifting from Japan to China. In fact, even the demand for conventional printing has decreased in recent years. To survive in the coming decades, we need to meet individual customer needs with a printing technique that produces value-added products, such as printing a grandfather’s likeness, drawn by his grandchild, onto a smartphone case. I believe that an inkjet printer is the ideal printer for meeting personal printing needs. I can discover new techniques through trial and error. I will continue to study market trends and customer needs to identify new business opportunities. 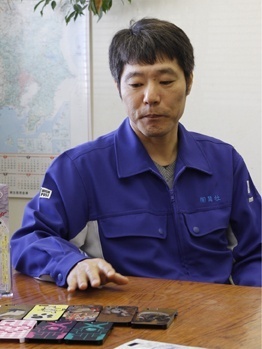 The interviewer was very impressed by the enthusiasm of Mr. Ino, who continually researches market needs and evaluates various printing methods. During the interview, he was working on launching an online shopping site. The site is now up and running. 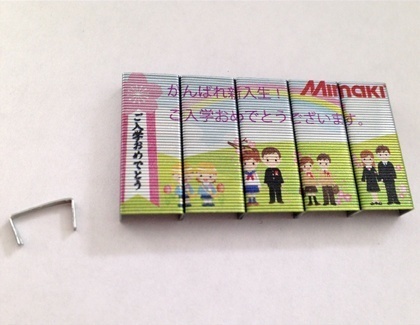 Mimaki products being used at Tatsumisya Ltd.